Take yourself off the menu. 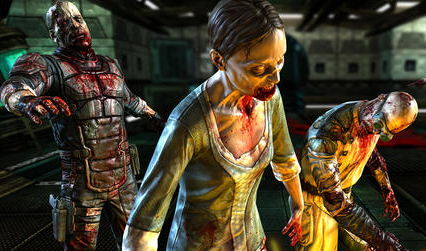 Zombies run amok in Dead Effect, an iPhone and iPad first-person shooter overflowing with bullets and gore. If your idea of a good time involves painting walls with monsters' brains, it comes highly recommended. If those flesh eating creatures have you down, literally, keep these life-saving tips in mind. -The character you choose is dependent upon two things: the type of weapons you wish to start the game with, and whether you prefer male or female. Gunnar Davis kicks off the campaign with a TAR-XR12 Assault Rifle and STIG-P320 Pistol, while counterpart Jane Frey slaughters zombies with a Velvet-23R Shotgun and W&W E81 Revolver. Both characters have access to bullet time, and you can purchase the other's weapons once you have enough credits. -Turn around once and a while. Zombies will often sneak up from behind. -As usual, a headshot results in an instant kill on most zombie types, so be sure to aim down the sights and target those suckers. It sure beats spraying and wasting bullets. -Low on health? Search for a medical pod. Stay inside until health is fully replenished. -Spend credits to purchase new weapons and make upgrades between missions. This includes boosting a weapon's Damage, Magazine size, Reload Time and Accuracy. You can also pick up more ammo. That is, unless you enjoy running around with empty clips. 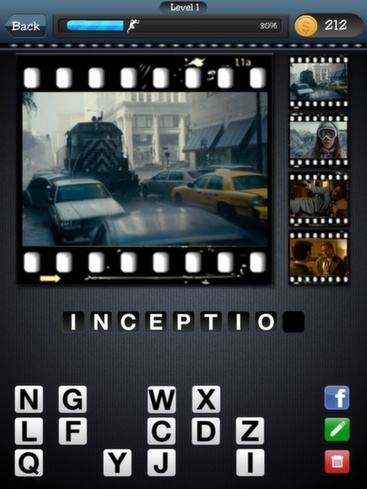 -When you come across lockers, pick the locks by rapidly tapping the touchscreen. You'll often find valuable credits or ammo. -Both bullet time and the shock weapon recharge after use. Keep that in mind. -Reload to avoid getting caught with a single bullet in the chamber during the more intense moments. -Complete hacking mini-games to earn credits. Match the highlighted symbol(s) before time runs out. Pay very close attention to the symbols. The developers will attempt to trick you with subtle differences. -Not all zombies are created equal. Some jump, others run. Fat ones spit blood. Zombies on the ground crawl. Know what you're up against before rushing into a room. -It pays to play with the volume up. You'll often hear zombies before seeing them.